Well, its that time of year. It’s time for the New Year’s resolutions to start rolling out. That time of year when we decide that we are going to start anew. We are going to change the path we are walking and we are going to make lifestyle changes that set us on a better path to a be a better person. We will make these promises because we are tired of the drudgery our lives have hit or because things have not been going so well and we want to do better things with our lives. Most will make resolutions because they feel like their life is simply in a rut and they realize that there has to be something more to life than the way they are currently living. We will also go to great lengths to make sure that this year will be different. We will take various measures in an attempt to actually follow through this year. Some will post it to social media in hopes that making it public will motivate them to keep the promise this year. Some will make their friends take an oath to hold them accountable to the change, only to avoid them at all costs when they break the resolution. Needless to say, the New Year’s resolution is the one time of year where most people have wonderful intentions, but lack the ability to follow through becoming the person they know they should be. Tonight, I wanted to offer perhaps a bit of insight on why we fail to follow through with our resolutions. I firmly believe that in order to succeed in your New Year’s resolutions, you need two key ingredients. Before we get to that, however, let me try to highlight some reasons that make this a very difficult thing to accomplish. The three big enemies of change in your life are: Instant Gratification, a Lack of Persistence and Comfort. The first of these roadblocks is Instant Gratification. We live in a world of fast food, no money down, and low interest credit cards. We are raising a generation that does not understand the importance of delaying gratification, of saving money toward a purchase, or waiting until they are ready for the next step. Instead we are raising them in the fast paced, “I want it and I want it yesterday” mentality that we have thrown ourselves into. We seek this same result from our resolutions as well. We want to be a completely different person…TOMORROW; and when that doesn’t happen, we deem ourselves a failure and give up. That brings me to the second problem- Lack of Persistence. I want to know who made the rule that if you break your resolution, you have then failed and must cease to attempt to change!!! 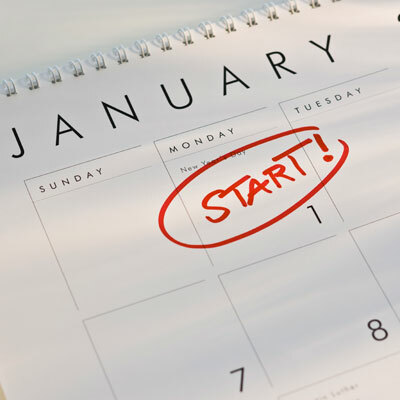 Most resolutions do not make it to February and according to a Forbes study a year ago, only 8% of people actually succeed with their resolutions. I think the biggest problem here is the fact that we stop trying. Changing your life and who you are isn’t a one shot and done deal. If you fall, get back up and try again. I think the biggest mistake here is the fact that we don’t take into consideration the massive change we are trying to accomplish. Most resolutions are not simple fixes, they are lifestyle changes. Lifestyle change takes time and discipline. You will fall down, you will screw up, get back up and continue on that road to change. Changing your lifestyle is a huge undertaking and that is where our third problem comes in, Comfort. We as humans, by nature, do not like change. Change means that we are no longer familiar with the situation, we are no longer comfortable with how things are going. Things can no longer be predicted and that scares us to death. We like the things in our life just the way they are, and in turn our own human nature begins fighting our resolutions. This is often accompanied by public opinion telling you that change isn’t necessary. Well meaning friends will tell you that you don’t need to change, that you are wonderful just the way you are. While that is very sweet and supportive and you need friends like that in your life, you must remember, it was YOU that wanted to change. Something has gnawed at you to the point where you are willing to attempt to face dramatic change in your life because you are not happy with the status quo. I truly think this is God communicating through His Holy Spirit letting us know that things aren’t quite right. Psalms 51:10 says, “Create in me a clean heart O God, and renew a right spirit within me.” So, what are the two important ingredients missing in our resolutions? Most resolutions that fail lack Purpose and Vision. We delude ourselves with a mammoth list that is unattainable or unrealistic, or we make arbitrary goals that have no real relevancy to our lives. If you want to lose weight, ask yourself why. What purpose will losing weight have in your life? Is your purpose so that you can impress someone? In my case, I want to lose weight so that I can lead a healthier life because one day I want to play with my grandchildren. What is the purpose of your goal? Why do you want to read your Bible more? Do you want to be closer to God? Have a clearly defined purpose for your goal so that it becomes more relevant to your life. Likewise, where do you see yourself at the end of 2015? What do you want your life to look like by the end of the new year? Once you have vision and purpose, the road map to fulfilling your resolution will become so much more clear. Change is good. Change isn’t easy, unless we are willing to change the way we change. Be purposeful and intentional this year, and from the Mindful Minute, I pray that 2015 is your best year yet.